HOME > Kits > No Fowl Play Kit Approx. 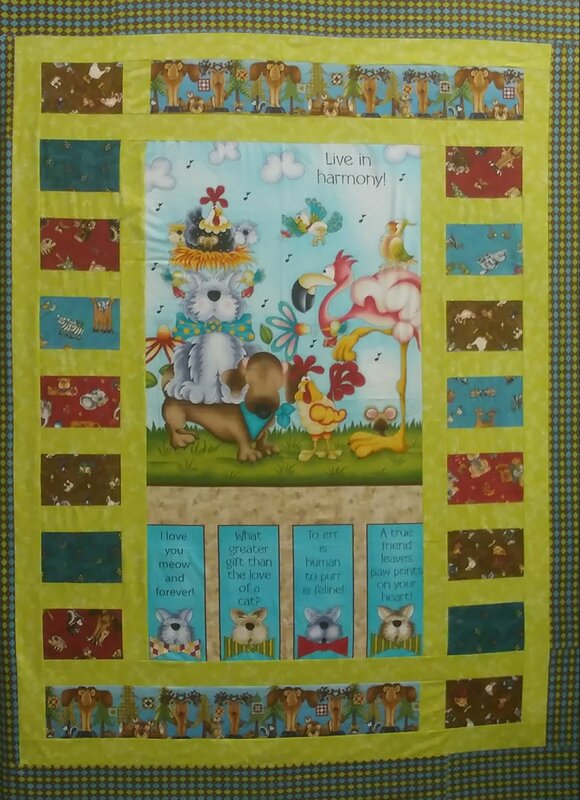 54" x 67"
No Fowl Play Kit Approx. 54" x 67"
Kit includes fabrics for quilt top and binding. Grand Stand pattern by Mountainpeek Creations was used and is included in the kit. Batting and backing sold separately.